Omega-3 fatty acids are necessary for human health. They help lower inflammation, play a role in brain function, and may help prevent diseases like heart disease and macular degeneration. Because the body cannot make omega-3s, you must get them from other sources. Fish like mackerel, salmon and trout are good food sources. Salmon fish oil supplements are another source of omega-3s; however, they are associated with some side effects. Large doses of any type of fish oil supplement can cause gastrointestinal discomfort. These upsets include belching, upset stomach, a fishy aftertaste, nausea and diarrhea. If the capsules are taken with meals, the abdominal side effects may not be as bad. Gradually increasing the amount of fish oil taken at one time can also lessen the side effects. People who take blood thinners or who have blood and bleeding disorders should be careful when taking salmon fish oil supplements. High doses of these capsules have been associated with increased risk of bleeding and bleeding complications. Fish oil may stop platelets from creating a blood clot and may break down the blood clots that are present. Your physician can advise you on the benefits and risks of salmon fish oil supplements. Fish is a common allergen; people who are allergic or sensitive to fish should avoid salmon fish oil products. It is not known how common it is for a person with an allergy to fish to also have an to fish oil, and until that is clear, those with fish allergies should not take salmon fish oil capsules, notes by the U.S. National Library of Medicine. Fish oil may also cause skin rashes. Fish oils can lower the concentration of vitamin E in the body after being taken for months. The cause of this depletion of vitamin E is not well understood, explains the U.S. National Library of Medicine. Many salmon fish oil preparations contain additional vitamin E. This can be a problem if you are taking vitamin E separately as it could lead to elevated levels of vitamin E in the blood. Some type 2 diabetics may experience a slight increase in their fasting blood glucose levels when taking omega-3s, according to the University of Maryland Medical Center. 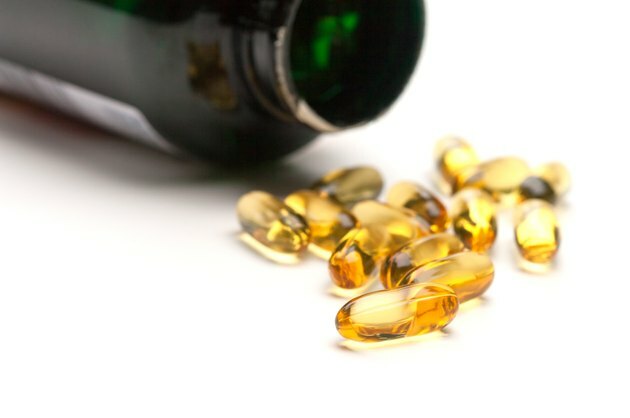 While these supplements do not appear to have long-term effects on people with diabetes, those who experience this side effect may have to avoid fish oil.